Sometimes we have to ask probing questions. Does mediation do any good? Does it make the world a better place? Is there more or less peace in our societies because of our work? This sort of research question exercises scholars and academics, but practitioners too want to believe their work makes a difference. A related question is do mediators have transferable skills? As a sweeping generalisation it’s fair to say that mediators are practical people, more focused on doing than theorising. They get their feedback from satisfied clients and repeat referrals. Academics, on the other hand, seek to make careful sense of things – ask questions, measure, analyse. Their conclusions are painstakingly researched, underpinned by years of study, and then honed by editors and reviewers before publication. This dichotomy between doing and thinking, or between practice and theory, has troubled many of us for years. 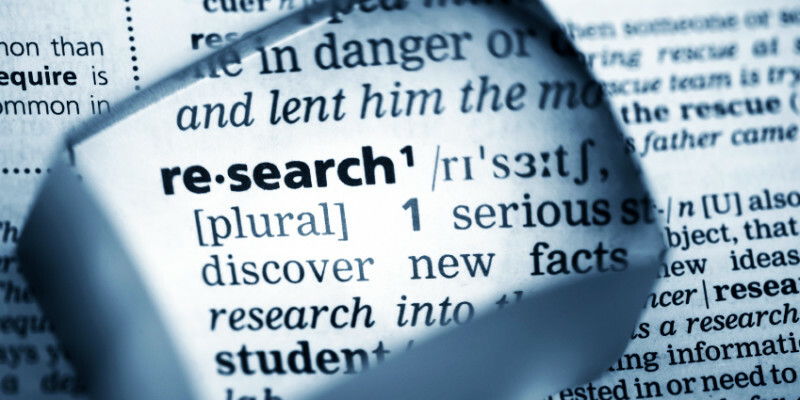 Why shouldn’t practitioners conduct research? For that matter why shouldn’t researchers practice? Rather than answer these rhetorical questions I describe two projects straddling both worlds. One began as evaluation and morphed into facilitation, the other combined facilitation and research from the start. They may hold promise for the future. The first project featured an organisation working with congregational conflict (Place for Hope) that had received Scottish Government funding for “tackling sectarianism” . It used a process known as community dialogue to bring together people from the Catholic and Reformed traditions in a series of conversations about their experience of sectarianism. In the first phase I acted as a conventional researcher, observing dialogues and interviewing participants. In phase two, however, I was asked to act as co-facilitator in one area while continuing as evaluator. This goes to a key issue: is research done ‘to’ people or ‘with’ them? If the former, the researcher should avoid opportunities for participants to influence her/his findings. Better to stand outside the mêlée of everyday life (in a rather God-like way) and reach conclusions in a pure and uncorrupted fashion. But social phenomena like sectarianism or group decision-making aren’t atoms or numbers, readily measured; participants’ views ARE the data. To offer our impressions back to those people for correction and debate can only improve accuracy. One critique would point out that such researchers lack objectivity. They shape the conversation, responding to what’s said and selecting some topics for comment. How can they then stand back and coolly analyse the data? In fact this is little different from mediators’ daily fare. Unless we say nothing, our interventions are inevitably selective. We have views and preferences like everyone else. Realistically, the best we can offer is to be even-handed. The concept of the neutral mediator has been widely criticised as impossible and even undesirable3)See Keri Fehrenbach and Amy Hubbard (2014) ‘Future directions in neutrality research: symmetry and transparency.’ International Journal of Conflict Management, vol. 25 (3) pp. 226–242; likewise the neutral researcher.4)Nigel King (2004) ‘Using Interviews in Qualitative Research.’ In C. Cassell & G. Symon, eds. Essential Guide to Qualitative Methods in Organizational Research. London: Sage, pp. 11–23. Those from a social constructionist tradition would ask whose interests the purported neutrality serves. From that perspective a more ethical path is to acknowledge that the third party joins the system s/he is observing and changes it; better then, to be open and honest about the views we hold and positions we seek to prove.5)For a good introduction see Vivien Burr (2015) Social Constructionism (3rd Edition) New York: Routledge. When it came to analysing the data I noticed one additional thing: the facilitator responses (not just mine) provided a novel source of insight. They were real-time efforts to capture the essence of the conversation, arguably more valid for being uttered at the time. Looking back at the two projects it strikes me now that a background in mediation was fantastic preparation for empirical research. You learn to help people give voice to their deepest thoughts and feelings. This has to be done gently, subtly, at the right moment; and provisionally, for they may not wish to reveal too much. Baruch Bush, who coined the term “transformative mediation” said mediators “impartially hear, and impartially report to the parties, many crucial parts of their own dialogue that they themselves may not have grasped fully or even heard because of their closeness to the situation”9)RAB Bush, 1989, cited in Simon Roberts and Michael Palmer (2005) Dispute Processes: ADR and the Primary Form of Decision-Making. Cambridge: Cambridge University Press p.200 My aim in this blog is to embolden mediators to use their many transferable skills as creatively as possible. Research is a natural fit. There must be others and I look forward to hearing about them. 4. ↑ Nigel King (2004) ‘Using Interviews in Qualitative Research.’ In C. Cassell & G. Symon, eds. Essential Guide to Qualitative Methods in Organizational Research. London: Sage, pp. 11–23. 5. ↑ For a good introduction see Vivien Burr (2015) Social Constructionism (3rd Edition) New York: Routledge. Thanks Charlie for this thoughtful article. I appreciate in particular your questions as to whether practitioners should research and whether researchers should practice. I use the label of ‘pracademic’ to describe my own work as it includes teaching, research and professional practice. And while us pracademics may not be accepted fully by those at either end of the researcher-practitioner spectrum, what I think we can do is assist with the translation of theory into practice and the interpretation of practice into theory. As a pracademic, I aim to draw on theory and use this to assist with the generation of insight – not just by relating the research ‘facts’, but by also encouraging thinking about how and why something might have happened. A conclusion reached by Professor Flinders (with which I agree) is that academics should receive more professional training on ‘the art of translation’ and ‘engaged scholarship’ – on engaging and managing their communications and impact strategies – in order to generate a more sophisticated and subtle understanding of the need to ground or frame the available facts and research within the ‘everyday lives’ of the public. And I think that researchers who are mediators – with their many transferable skills – are well placed to provide the delivery of this learning. Really interesting ideas Charlie and Carolyn. It seems the skills, practice experience and the values of mediation transfer well to research – perhaps particularly if we look at examples from social anthropology. Your experience of carrying out research while facilitating a process and being part of the conversation, made me think of an area of well respected qualitative research; Ethnography. Here participation and becoming part of the ‘culture’ being studied allows for a deeper understanding – a goal that I think researchers and mediators share. Clifford Geertz (http://www.sociosite.net/topics/texts/Geertz_Thick_Description.php ) suggests at the heart of ethnographic research is the difference between recording ‘thin description’ (facts, that we observe) and thick description (meaning that we attach or interpret.) Interpretations of behaviour can lead to conflict escalating but mediators use their skills to check out these interpretation and to go deeper to uncover meaning and interests where previously there were only positions. It seems there is learning that could be shared from both mediation practice and research areas. Thanks Carolyn and Abbey for your ideas and comments. Abbey, I never thought of facilitating dialogue as a form of ethnography but it certainly has parallels. Is it not a form of participant observation, where mediator/facilitator has a job to do OTHER than the research? This reduces awkwardness and probably helps build trust. I enjoyed re-reading that Geertz essay. Dense and fascinating. However, his claim: “what Cohen, the sheikh, and “Captain Dumari” were doing when they tripped over one another’s purposes —pursuing trade, defending honor, establishing dominance” rather downplays an individual level of analysis. Maybe Cohen, the sheikh and Captain Dumari were responding like individuals to emotional triggers like fear, anger and insult. It’s a good reminder that we all impose our schemes of meaning on the world around us.